Don’t you just love a product that comes in a fancy box or is covered in vibrant colors? Well so do your customers. Product packaging plays a vital role in boosting sales by enhancing the visibility of your brand and improving brand recall. So, let’s learn how to increase sales with product packaging. Say for example Flipkart, the bright blue packaging instantly catches your eye and without even reading the label you know it’s your favourite website delivering your much awaited package. Same goes for Snapdeal. The packaging is so strongly imprinted on the minds of the customer, that they recognize it subconsciously. 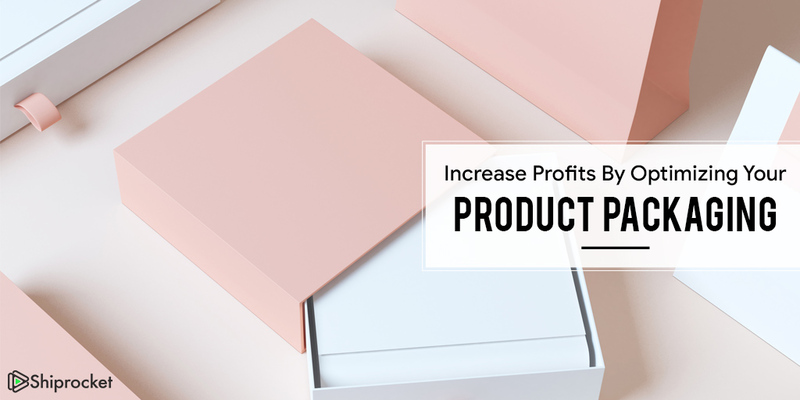 Why Focus on Product Packaging? Your package should be so good that the minute customers see it, they should be able to recognize You. For example Amazon, the black box with the ‘Amazon’ written in yellow is something you will definitely recognize. Being a business owner, you know how difficult it is to lock a client. You have to constantly persuade them, advertise, market, keep following up until you can finally convince him/her to buy your product. But, with good packaging, this effort surely lessens. And by packaging, we not just mean getting fancy but stronger too. Packaging is capable of retaining your customer and saving you a lot of “money”. Give them good packaging and they are never leaving. Customers are suckers for a good product package. The appearance of the product instantly allures them which is why the Indian eCommerce store, Happily Unmarried packages all its products in a brown box with their brand design on it. If you feel your competitors are getting ahead of you even though your product is better, consider changing the packaging. Studies reveal 38% of customers will shop with you again based on the packaging of last ordered product. Instead of spending money on futile advertising, consider changing the look of your product and you will see the difference. Your product should portray the characteristics of your brand. Just by looking at the packaging customers should be able to tell it is your brand. The Indian eCommerce Store called Chumbak is the perfect example for this. This brand makes products with quirky one liners. The packaging of this brand completely stands out, making it easy to recognize the brand. Package inserts is the key to excellent customer servicing. This is something that goes unnoticed by most brands. Package inserts can be in the form of hand written notes or discounts. You can also include small presents that the go well with the product that has been ordered. This makes you customer feel that you really care about them and thus helps in improving brand loyalty. 20 Dresses an Indian eCommerce retail store always send handwritten notes along with small presents for their customers! This is one technique will never fail! Always be consistent with the colors, font, logo and design. Packaging is important for brand recognition and brand recall, so if you keep changing the package your customers and potential customers will get confused and never be able to remember your product. Packaging your goods conveniently is very important. The packaging not only has to be sturdy but should also be easy to access. WriteyBoard is one online brand that has completely revolutionized product packaging. They send across their products in box that is shaped like a Marker. This cylindrical box can hold a whiteboard which can also be carried around easily. Choose your product box carefully. Bright colours like red, blue yellow, green instantly catch the customer’s eye. In case, you want to go with traditional brown box, then you can experiment with tapes just the way Snapdeal & Flipkart does. Name of the ingredients, instructions, manufacturing date, expiry date all of this should be written clearly on the Product. This helps build trust between you and the customer. Transparency is the key to maintain long lasting relationships. So, now you know how important it is to design a good package for your product. So follow these simple product packaging tips and watch your sales touch the sky!